My parents always suspected it might come to this. It just didn’t happen the way they thought. I mean, I’ve always had a bad track record with library books. And I’ve always been a political junkie. It’s the intersection of those two that have brought me to this juncture: my final meal. For years I’d managed to avoid the worst of the pitfalls of my library book problem. A relatively high income can cover up innumerable sins. And because I had the money to do so I bought the books I wanted instead of checking them out of the library (and, inevitably, failing to return them on time). But then Donald Trump happened and I just had to read The Art of the Deal. I mean, how could I not? But I’m a political junkie with a conscience. 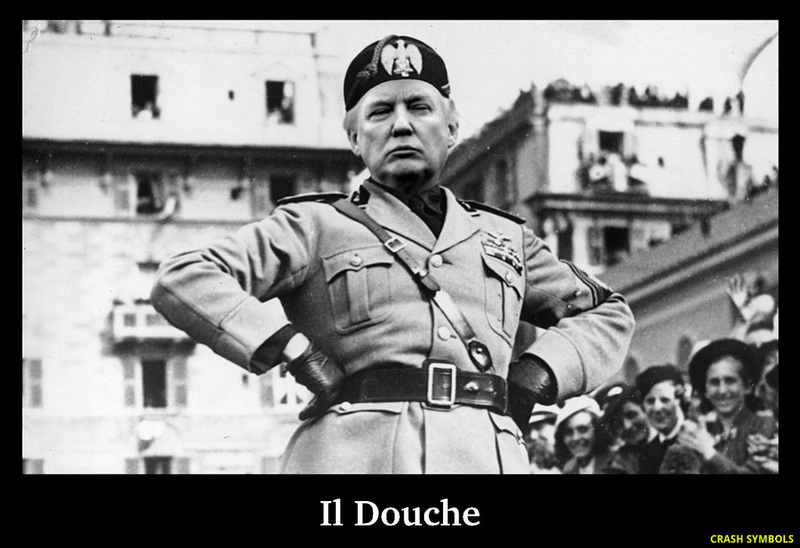 I was not about to put money in the pocket of that megalomaniacal narcissist. So I checked the book out of the library. And, at first, I was glad I did. There were all varieties of insight to be found in the book, just not the type Trump advertised. When I was done with the book and found myself faced with another crisis of conscience: Should I return it? Not returning it would be wrong. But returning it might mean someone other than an angry white male (because they don’t go to the library) might fall under his influence. The book sat on my shelf. Then came the knock at the door. All that was left was for me to choose my last meal. For my appetizer I selected the Carrot Aguachile at Bracero Cocina de Raiz (1490 Kettner Blvd.) in Little Italy. Chef Javier Plascencia combines ahi tuna and scallops with ghost pepper and smoked steelhead trout roe. 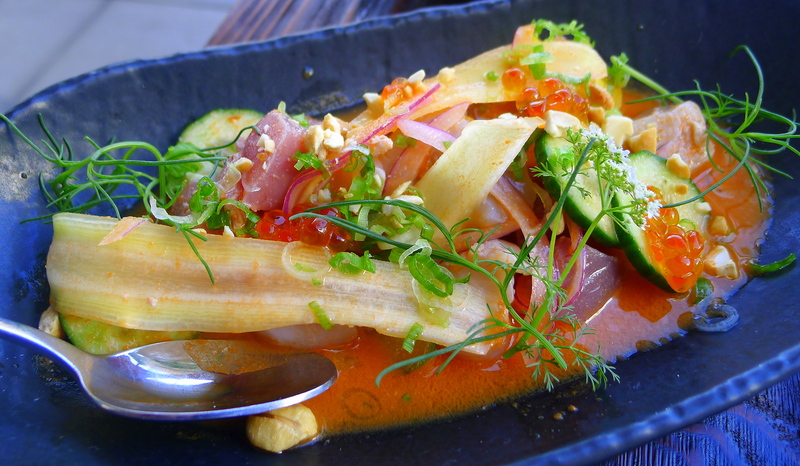 It’s an elevated play on a classic mariscos dish tied together by carrots two-ways: shaved and juiced. The later provides a sweet underpinning to the spicy, acidic sauce. While the Torres Alegre Cru Garage Nebbiolo might not be the best pairing for the carrot aguachile, it is one of my favorite wines on the face of the planet and it is, conveniently, on Bracero’s wine list. 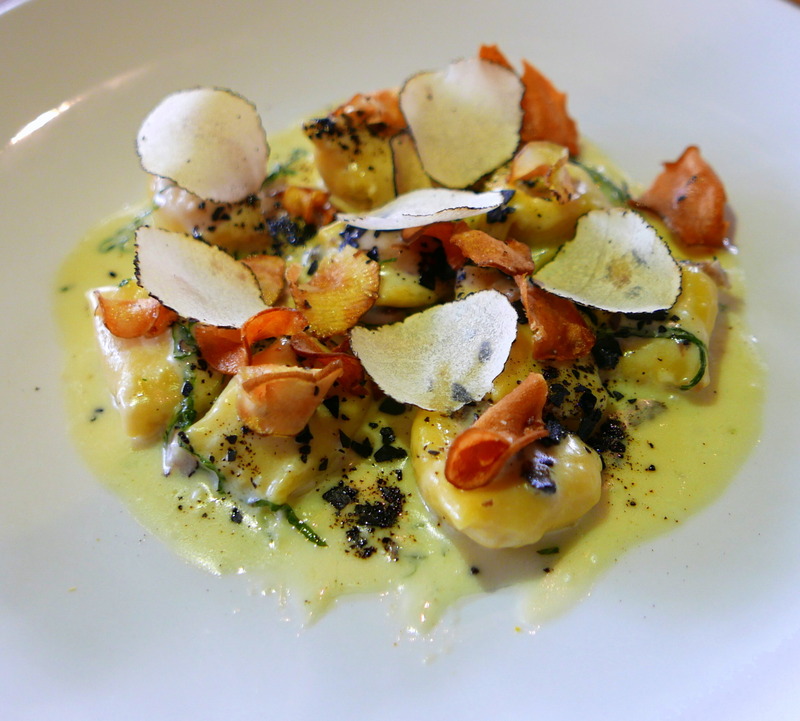 It will also be a terrific pairing for my entrée choice: the ricotta agnolotti— sunchokes, black garlic streusel, black truffle, panna and basil from TRUST Restaurant (3752 Park Blvd.) in Hillcrest. The truffles make a splash, of course, but a moment later it’s the subtlety of the pillowy stuffed pasta agnolotti that commands attention. Then you notice the umami richness of the black garlic streusel. With it being my last meal I won’t have time to wonder what just hit me. If I was going to be done for my childhood crime I was going to go out with an upscale take on a favorite childhood dessert: the Yodel from Juniper and Ivy (2228 Kettner Blvd.) in Little Italy. Richard Blais’ play on the classic junk food snack of chocolate wrapped devil’s food caked rolled with vanilla “cream,” takes every component up a notch with the filling—white chocolate mousse with hazelnut brittle—and the tableside pour of hot chocolate pushing it over the top. Capital punishment may be a pretty steep price to pay for not returning a library book, even that library book. But I’ve got this one last great meal to look forward to. I bet my parents didn’t predict that part of it.